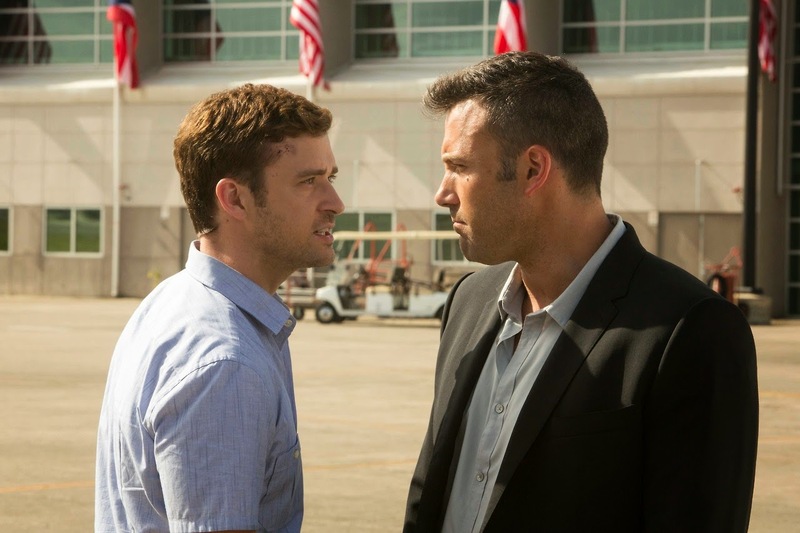 Remember the slick Justin Timberlake/Ben Affleck movie RUNNER RUNNER, that came out and died last October? No? Wait – a few of you do? Well, it’s one of those first class flops that made me wonder if it was really as bad as its 9% Rotten Tomatoes rating says it is so I queued it up on Netflix. It starts off intriguingly with a coolly confident Timberlake as a Princeton grad student, who’s an affiliate for an online poker site on the side. A flashy opening credits montage fills us in with snazzy graphics and TV news sound bites that online gambling on college campuses is on the rise. Amid the headlines about Ponzi schemes, bribery, and racketeering, we catch a glimpse of Affleck as e-Casino tycoon Ivan Block, identified as “King of online gaming on FBI list.” This scene they're setting up here is certainly very different to today’s gambling and poker scene with the recent legislation changes and legal options for USA players. After Timberlake loses a lengthy game to double his tuition money to a cheater on Affleck’s “Midnight Black” site (in a circling camera sequence that cribs off Fincher’s dorm room brainstorming scenes in THE SOCIAL NETWORK), he travels to Costa Rica to seek out Affleck, and show him that he has proof that his system swindled him. At a glitzy party that Timberlake talks his way into, Affleck thanks him for bringing this data to his attention but has him escorted out. The next day, Affleck invites Timberlake aboard his yacht The House (as in “the house always win”) and offers him a job at his website with a guaranteed 7 figures in the first 18 months, guaranteed 8 figures in the first three years. Of course, it’s an offer he can’t refuse and we’re off running running. Brian Koppelman and David Levien’s screenplay follows the template of Oliver Stone’s WALL STREET with Affleck being Gordon Gekko to Timberlake’s Bud Fox – even utilizing the lady love interest that used to be the bosses’ scenario - but with a bit of the gambling with other people’s fortunes stakes from Ben Younger’s BOILER ROOM (which featured an Affleck cameo) getting thrown around here like bouncing dice on a craps table. Timberlake gets predictably more and more caught up in the dangerous dealings of Affleck’s corrupt corporation, and has an FBI agent (Anthony Mackie) breathing down his neck, so he sets out to outsmart everyone, win the girl (Gemma Arterton, who as one IMDb commenter put it “has never looked hotter”), and perform a highly engaged, impeccably choreographed, show-stopping song and dance number climax. Okay, everything except that last one happens but, dammit, it’s Justin Timberlake so forgive my wishful thinking. Affleck is so convincing as the top dog douche here that it’s easy to see what fuelled the Great Batman Backlash of Summer ’13. With his slimy character’s pretentiously spoken speeches and his demented delight in feeding his enemies to crocodiles (or threatening to), Affleck isn’t even up to subpar Bond villain standards; he’d barely cut it as the bad guy in a LETHAL WEAPON sequel or Miami Vice episode, or at least with this material. As it checks off all the routine thriller clichés, including the one about the deadbeat gambler father (played here by John Heard) whose life is on the line in the big game, RUNNER RUNNER is one of those terrible yet terribly watchable movies. It’s fun to guess what the next line is, and ridicule the lame attempts at twists. Those into gambling online will be disappointed because after the film’s set-up, it’s really not about the world of internet gaming at all. It just uses that as an unsuccessful springboard into another tired student-becomes-the-teacher face/off between two big names. Director Furman, whose much better 2011 crime drama THE LINCOLN LAWYER helped spark the McConaissance (you know, the current era in which Matthew McConaughey is an heavy-hitting Oscar winning dramatic again after a lost period of rom coms? ), has made a competently structured narrative but with little inspiration or depth. With hope, the next time out he’ll take a riskier gamble than this vacuous vehicle driven only by star power.